Need to run a tool counter-clockwise and think you need a left-hand tool holder? Not necessarily! In case you didn’t know, ball-bearing collet nuts on HSK/ISO toolholders make the need for a left-hand tool holder obsolete! 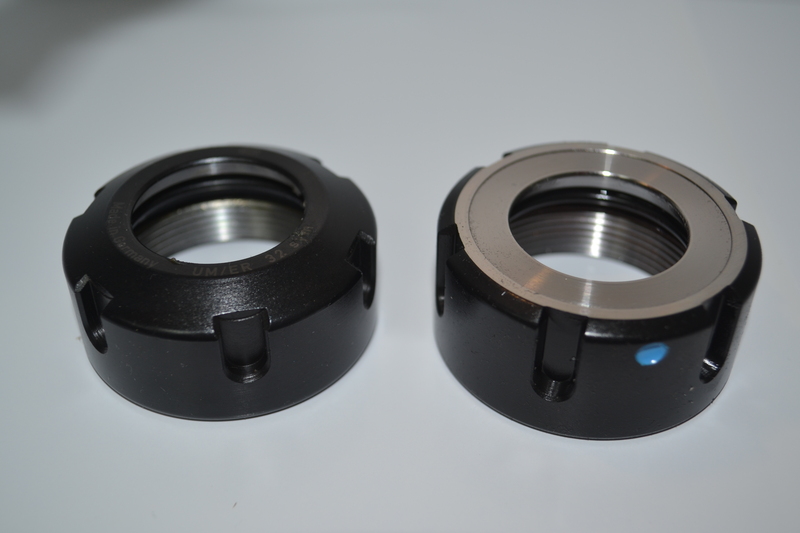 And if you are not sure if you are using collet nuts with a ball bearing, the attached photo shows the difference. The one on the right is a two-piece construction which houses the ball bearing. The one on the left is a simple static nut that cannot be run in a counter clockwise rotation and for which you need a complete new tool holder since the threads on the tool holder would not allow you to just change out the nut. Another advantage of ball bearing collet nuts on your tool holders is the elimination of tool slippage problems. 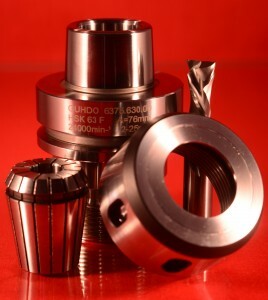 All GUHDO tool holders are all Made in Germany with the ball bearing collet nut included. 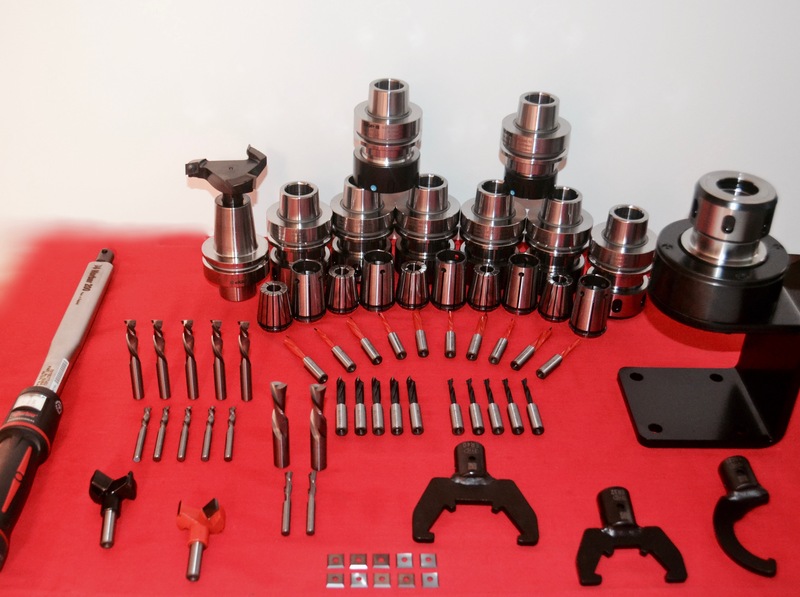 The selection and proper use of the tool holder is almost as important as the actual cutting tool selection. 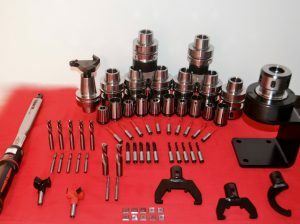 The tool holder is the contact point between the machine and the tool itself so it’s integral to the integrity of the connection to the machine spindle. 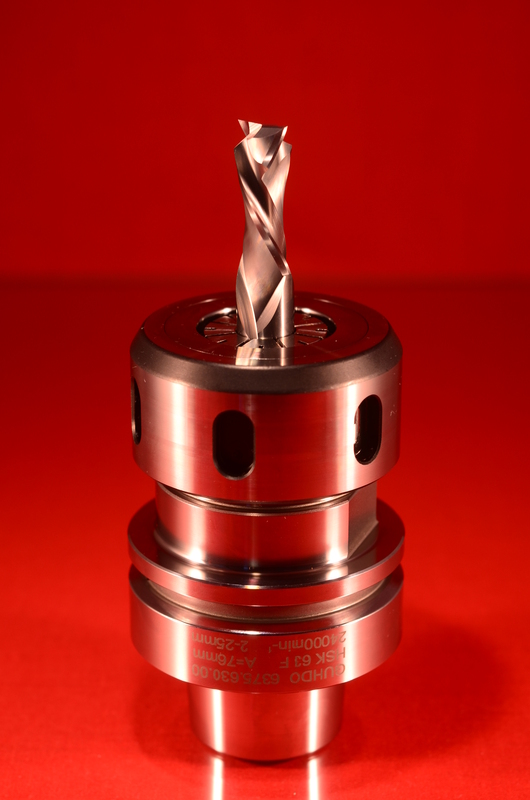 It’s essential that the tool is properly inserted within the collet and that it rotates through its cutting path with little to no run-out. 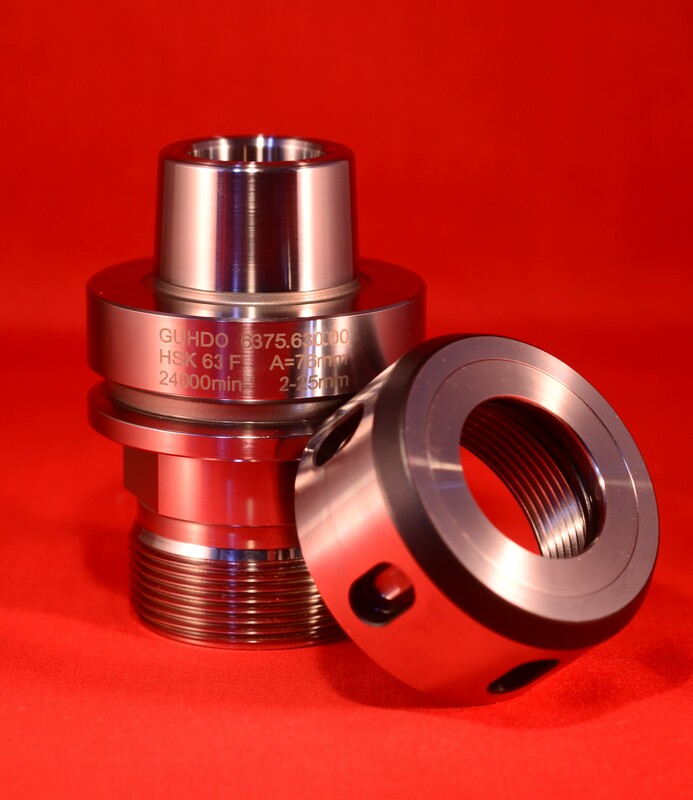 Ball bearing collet nuts help ensure the collet is clamping the tool properly in order to avoid loss of tool efficiency and any possible deflection from the clamping source. Should you experience a run-out or machine crash one of the most important things to do is re-calibrate the spindle using a run-out arbor. The collet style tool holder used most frequently in woodworking is the HSK style tool holders, made up of three main parts: the actual tool holder body, the collet and the collet nut. In the case of ISO, SK and BT tool holders the retention knob (also referred to as a pull stud) is a fourth part. When changing the tool it is important to setup the tooling in the proper tool changing fixture to properly secure the tool holder while installing/changing tooling . A torque wrench should be used to tighten the collet nut as over or under tightening can be dangerous to the machining operators, also having a negative effect on the tool and spindle due to slippage and chatter caused by a lack of uniform compression on the shaft. 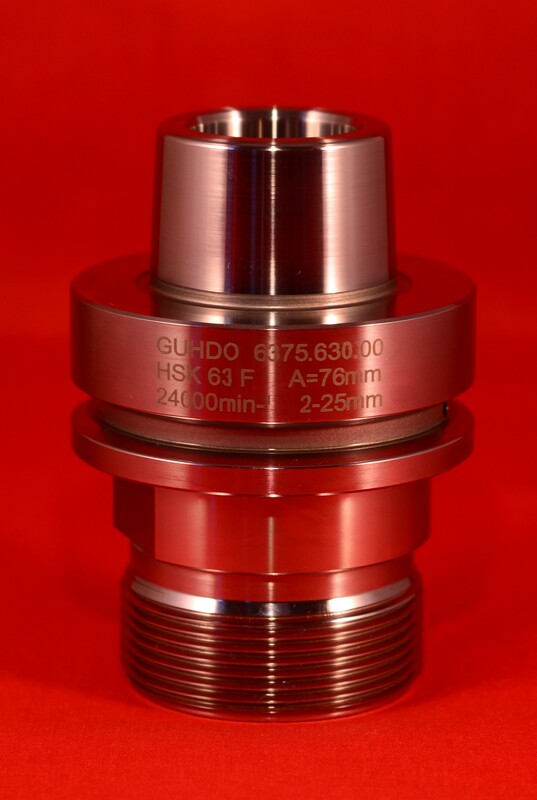 When installing the tool shank into the collet, it is important that at least 3/4″ of the collet is filled with the tool shank to avoid imbalance, vibration, risk of tool slippage and even tool breakage. It’s important to ensure that the spirals/cutting edge is not covered by the collet as it can damage the edge. Improperly balanced tools will lead to a poor material finish and paying close attention to accurate tool clamping increases the tool’s longevity, reduces noise from the machine and severely decreases the chances that spindle failure or damages will occur. In the case that this occurs don’t forget, calibration arbors are great tools to keep your spindle healthy after a move or tool crash.